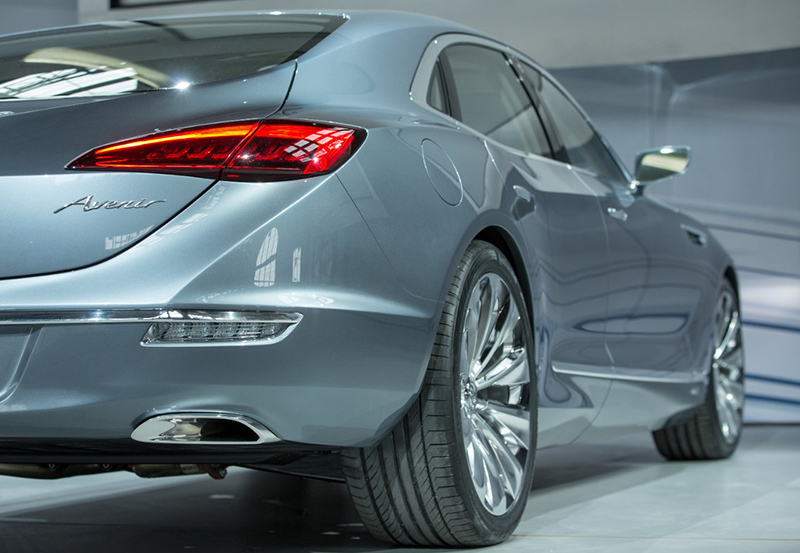 Buick introduced the Avenir concept today in advance of the North American International Auto Show – a flagship sedan exploring progressive design with new levels of passenger well-being and technology integration. 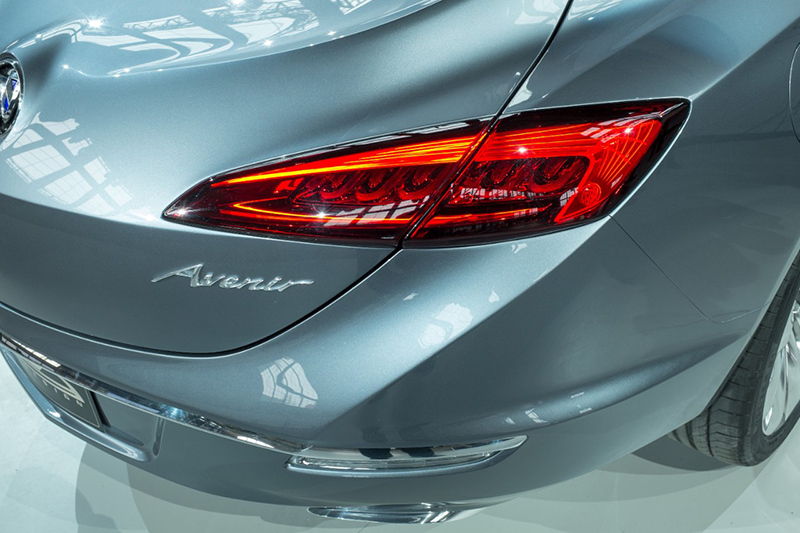 The Avenir – French for future – is distinguished by its premium sports proportions and all-new interpretations of traditional Buick cues. It is the creation of a global team of Buick designers and sculptors who were inspired by historic Buick concepts, which pushed traditional boundaries, shaped future Buick models and influenced the entire auto industry. 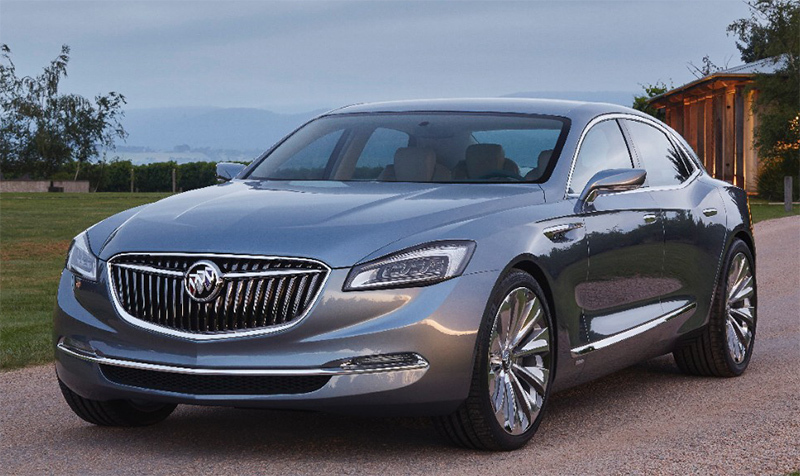 The Avenir’s sculptural surfacing, expressive proportion and Buick’s signature sweep-spear bodyside visually cue an exceptional driving experience that awaits inside. OnStar 4G LTE with Wi-Fi hotspot. A long hood, wheels-at-the-corners stance and a sloping, rear deck that pays homage to historical models, such as the Riviera, distinguish the Avenir’s proportion. Sculptural surfaces, taught lines, short overhangs and a broad-shouldered stance stretches 204.5 inches (5,195 mm) in length and 76 inches (1,931 mm) in width. Its reimagined sweep-spear element complements the long body lines and conveys a sense of motion, as does tapered rear-end styling. 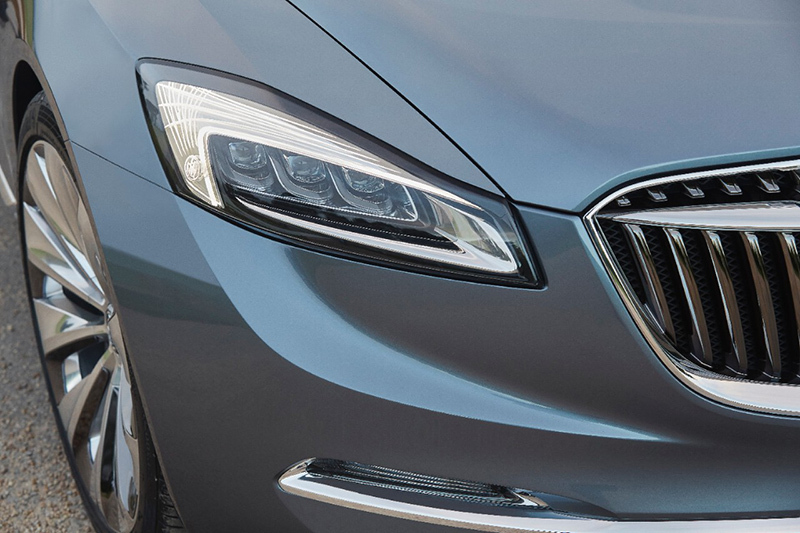 Avenir’s sophisticated color palette, including a Crystalline exterior color and strained use of bright work accent the Avenir’s body lines and sets up the interior for a combination that takes Buick’s contemporary style to a higher level. The Avenir’s four-place interior rewards the senses, makes managing technologies easier and enhances the feelings of personal space and well-being. “A flowing, sculptural quality in the interior forms, deco trim, premium leather and ambient lighting, create an environment that is inviting and comfortable,” said Liz Wetzel, Buick interior design director. Interior surfaces – inspired by nature and sea waves receding on a beach – flow seamlessly through the cabin. It is a motif featured on the seats and carried through in other trim components – even the carpet. In fact, a patterned insert for the carpet carries the motif in silk and bamboo. A color palette of light and natural tones blended with oiled and buffed wood trim, and Galvano satin-chrome accents, enhance the Avenir’s ambience. “They’re rich, premium materials and warm colors innovatively executed to enhance the soothing effect of the interior environment,” said Wetzel. Functionality is manifested in the Avenir’s device-integration technologies, which are designed to lift the user’s mood and make the details associated with daily life a little easier. It starts the moment the vehicle is started, synchronizing information and devices within seconds. The Avenir instantly configures gauge cluster and infotainment screen displays based on prior customization while also recognizing the user’s music preferences, calendar schedule and recently visited locations from a cellphone’s GPS. It can even pick up a podcast the user was listening to at the moment it was interrupted. Buick’s user experience designers are also pushing the Avenir’s technologies for home integration, which would allow accessing home security cameras or the capability of turning on outside lights and closing a garage door that was inadvertently left open. “The Avenir’s integration features build on the technologies already available or coming soon in smartphones and streamline them in a system that makes accessing and interacting with them easier,” said Wetzel. Personal connectivity extends to rear-seat passengers, where USB ports and video screens allow occupants to plug in to their favorite media and slip into complete relaxation, arriving at their destination refreshed and rejuvenated.